F amily law, also known as matrimonial law, is an area of law that handles a range of legal issues involving family affairs and domestic relations. Cases include, but are not limited to, divorce, paternity, child custody, child support, Department of Children and Families, dependency, termination of parental rights, domestic violence injunctions/restraining orders, modifications, contempt/enforcement, and name changes. Marriage law or divorce is an area of law that handles the legal issues that arise when a married couple legally terminates their marriage. These issues can include, but are not limited to duties and obligations relating to property, children, alimony, child support, prenuptial and postnuptial agreements, relocations, and marital settlement agreements. Divorce proceedings can be stressful, complicated and, in unfortunate cases, ill-natured. Hiring a divorce lawyer is the best way to successfully handle your divorce. This is especially true if and when you are in an understandably emotional or distraught state. Having a professional lawyer by your side can decrease your stress level and provide a guiding hand throughout the divorce process. Divorce attorneys know the local court system and the laws and procedures that are crucial to successful representation. Click on the item of interest for more information. The dissolution of a marriage through divorce proceedings is a highly stressful event. At this difficult time you need an attorney to fight for your best interests while showing sensitivity to your situation. Whether you are a mother seeking support for your child or a father needing to establish your parental rights, we are here to help you. The Court must order that parental responsibility for a minor child be shared by both parents, unless it would be detrimental to the child. A child support payment is a court-ordered amount that the non-custodial parent must pay to the custodial parent to cover a proportionate amount of the child’s expenses. The Florida Department of Children and Families (DCF) or the local Sheriff’s Office Child Protection Investigators investigate all allegations of child abuse or child neglect. Our firm is privately retained to investigate and report to the Court what's in the best interest of children involved in family law cases. A dependency action is a legal process brought by the State of Florida. If a parent is reported for suspected child neglect or child abuse, the child protection investigator must investigate the claim. The State of Florida can bring legal action to permanently sever parental rights so that a child becomes eligible for adoption. To obtain an injunction/restraining order, you must file a Petition that contains a sworn statement of the facts which would justify the Court granting the injunction. Many people feel that when the Final Judgment is entered, the matter is set in stone. However, relief is available through the modification of these orders of the court. We can help you file a motion for contempt or enforcement against the other party if the terms of your Final Judgment or Order are not being followed. 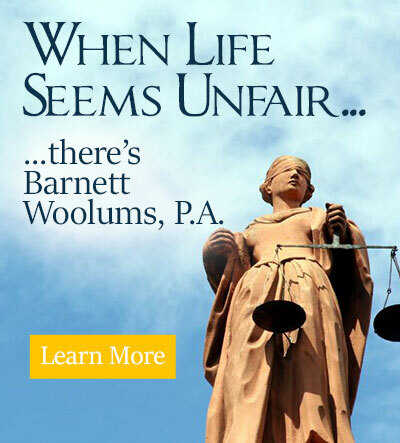 Conversely, we defend clients against motions for contempt or enforcement. Have Peace of Mind. Get Your Questions Answered, TODAY!